This morning was looking like it was going to be what felt like the fourth Monday in a row, so I laced up my shoes and went for a run. I hadn’t gone for a run since Sunday and it was obvious to those around me. I ran the city river trail, through the cemetery, and then to the woods and back. It was 3.2 miles of alone time, which I desperately needed. 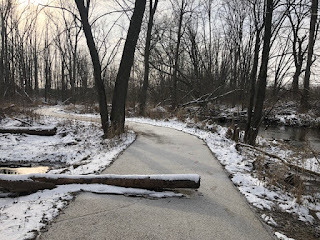 The run was quick as I had other things to do, but the light dusting of snow made the scenery calming and, in some areas, slick. My pace has been getting quicker over the past few months, which I attribute to being stronger. 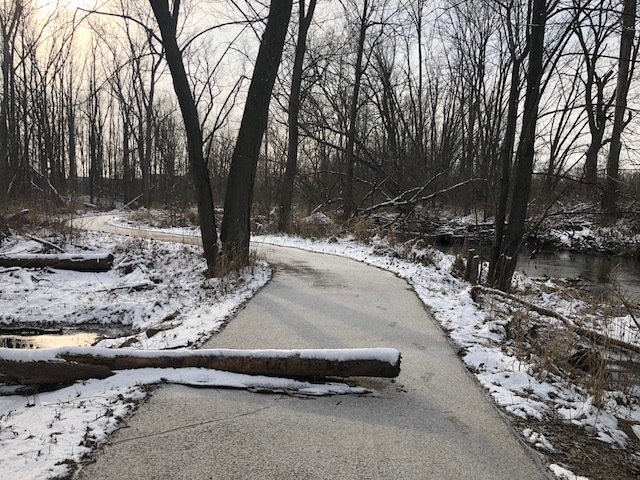 I came across a fallen tree in the trail, which reminded me about the daily struggle with obstacles and how it is easier and more efficient to just go around than it is to stop and worry. On this International Women’s Day, I am reminded of the teasing from kids, saying that someone does something “like a girl.” Today, I aspire to do things like a girl: With purpose, heart, strength, determination and persistence. I am strong. I am persistent. I run like a girl and you can too!